We're back at 06:00 GMT with all the latest news, sport, weather and travel for the county. If you'd like to get in touch with us in the meanwhile, you can find us on Twitter , Facebook or send us an email . St Catherine's College in Eastbourne has become the first state school in East Sussex to teach its pupils Mandarin. A mother of three who died after a car hit her as she walked with her family "was adored". Missing: Have you seen Andre? 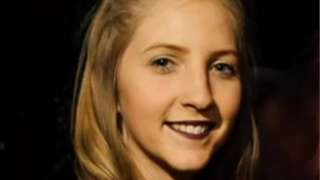 Police are looking for a teenager who's been missing for a week. 13-year-old Andre was last seen in Slinfold on Tuesday 14 March at 12:00 GMT. There was a possible sighting of him in the Walthamstow area of London on Thursday 16 March at 17:00. Andre is black, slim, with short hair, brown eyes and was wearing black jogging bottoms, a black top and black trainers. 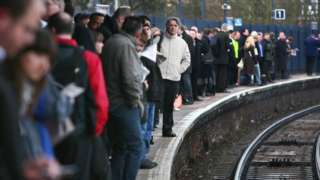 Southern, Merseyrail and Arriva Trains North staff will walk out for 24 hours on 8 April. The rain is finally arriving. And it's feeling pretty cool too. A man accused of killing his teenage ex-girlfriend was right to fear he would be blamed, jurors hear. 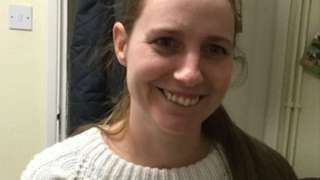 The Dean of Battle has encouraged people to leave a tribute at his church after a mother of three was run over and killed by a car in Battle on Sunday. The family of a woman who died after she was hit by a car while out walking in Battle have paid tribute to her. Debbie Masters, 37, sustained fatal injuries after a car collided with her and her family in Upper Lake, Battle, on Sunday 19 March. She died in hospital. Debbie was a loving wife and mother, who was adored by her husband, and will be missed forever, not matter what." Members of the RMT union working on the Southern network will strike on 8 April, the day of the Grand National. On World Down Syndrome Day meet Harry Fairchild, who coaches at Brighton Table Tennis Club and is aiming to become world champion. Check out our Get Inspired guides if you want to get involved in table tennis or disability sports. Four people have been arrested in connection with drug production in Pulborough. A 48-year-old man from Pulborough has been arrested on suspicion of two counts of possession of class A drug, abstracting electricity, production of class B drug. A 64-year-old man from Pulborough, a 44-year-old woman from Taunton and a 28-year-old woman from Pulborough have been arrested on suspicion of production of a class B drug. Staying sunny this afternoon but there's rain on the way. A special fund is being set up for the family of a mother of three young boys who died after being hit by a car in Battle. Have you got a story that needs to be investigated? If so, get in touch with the award-winning BBC South East Today investigations team. This week on BBC Sussex we're taking a closer look at elder abuse. Pauline Jackson and Robin Strange sit on the Sussex Elders Commission. Hear their top five tips for avoiding a scam below. There were huge celebrations yesterday for the 100th birthday of The Forces' Sweetheart Dame Vera Lynn. Here are some facts you may not know about her. A brawl that broke out among spectators at a university sports event is under investigation by police. Bottles were thrown at the crowd and security staff during the Varsity rugby event between the universities of Brighton and Sussex. You can read our full story here . Two hundred and sixty children were suspended from schools in Sussex in a single year because of drugs or alcohol. Last year Sally (not her real name) discovered her teenage son was taking drugs.